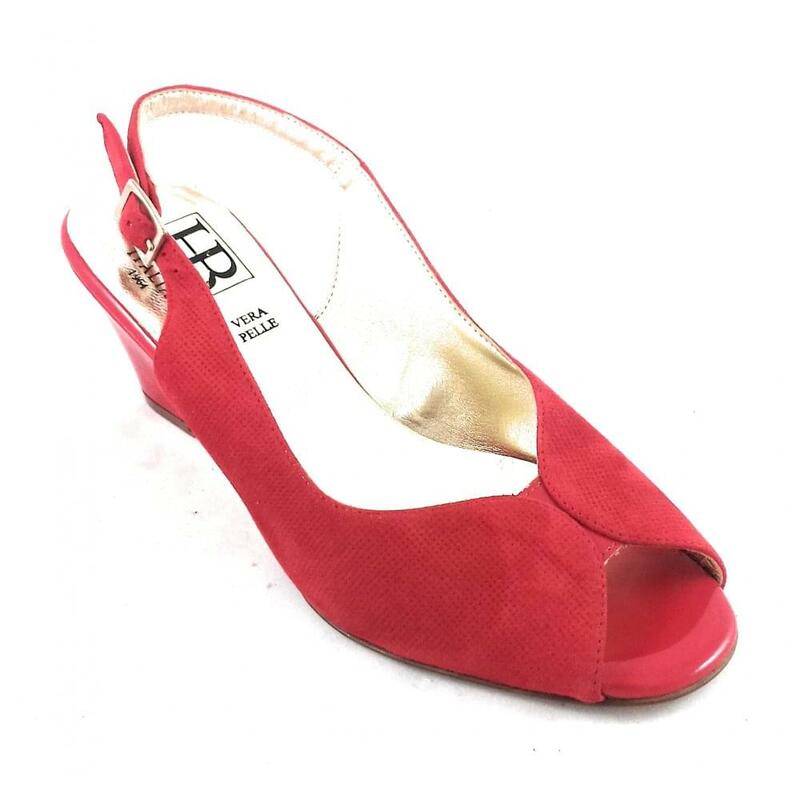 These red HB peep-toe sling back with patent wedge heel are simply stunning. 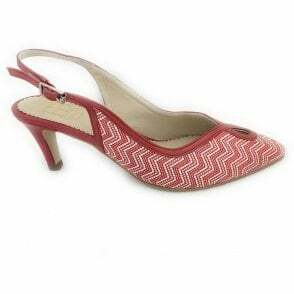 Lined with leather and slightly cushioned they offer all day long comfort. 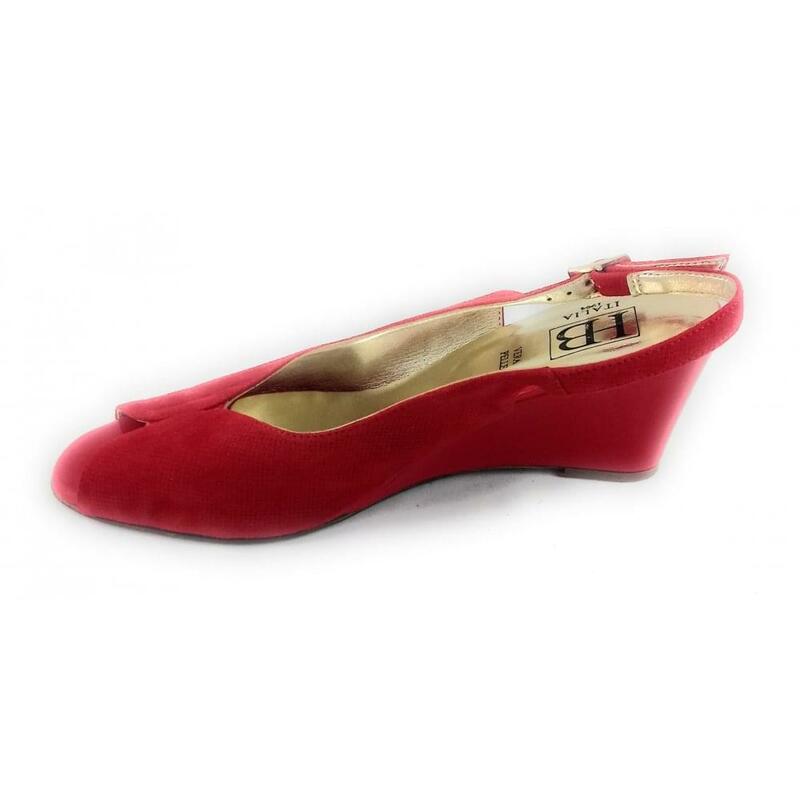 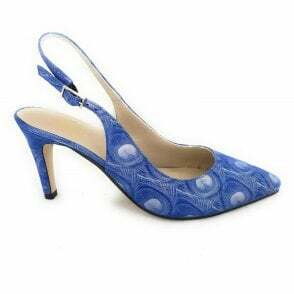 The small wedge offers stability along with style, helping to dress up any outfit for those special occasions.